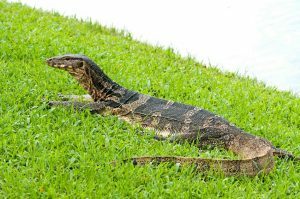 The Water Monitor is a species of giant monitor lizard found in parts of South and Southeast Asian countries. These semi-aquatic reptiles are common throughout their distribution range and prefer living in humid or areas close to a water body. This species is specially dangerous and is said to be unsafe for humans in certain situations. Size: Adult males can reach up to 9 feet, while the adult females are much smaller (almost half the size of the males), reaching up to 4-5 feet, with this being their sexual dimorphism. Weight: The maximum weight these reptiles can attain is 150 pounds. Skin: The skin is rough, rugged and folded with dark black color at the dorsal side that gradually fades towards the ventral region. The entire body has black stripes and is also dotted with off-white to pale yellow markings. Feet: Each foot is strongly muscled ending in sharp, nailed claws. Eyes: The eyes are almond-shaped and medium-sized that looks dark from a distance. Nose: The nostrils are set just above the mouth, on both sides of the snout region. Tail: Long and sturdy tail that is almost twice the size of the body, and is made of stiff muscles. Teeth: The mouth is lined with small sharp sets of teeth, strong enough to inflict severe and painful wounds on the prey. They live for 10 – 15 years in the wild, while captive specimens can live up to 20. 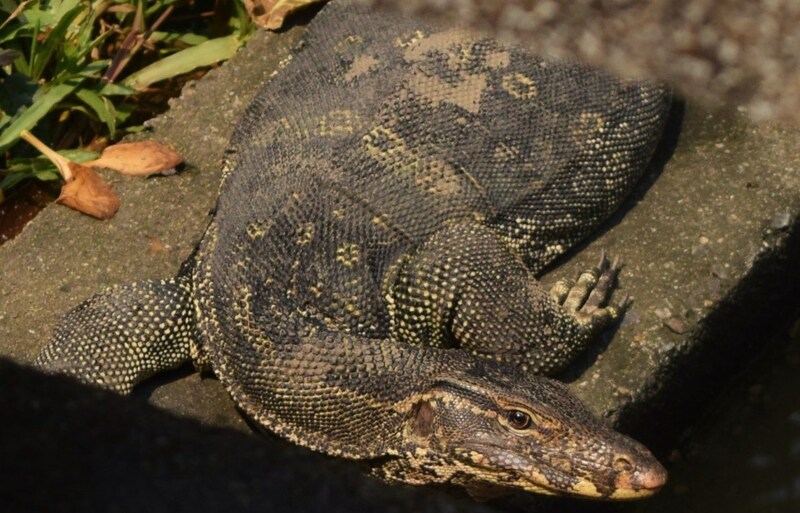 The Ziegler’s water monitor – V. s. ziegleri – from the Obi Island. The most common habitats of this species include swamps, wetlands, mangrove vegetation, and altitudes below 1000 meters. It has been noted that these creatures are not deterred from living in areas with human disturbances. Water monitors are mostly diurnal, and are usually active from the dawn until late afternoon, before sundown. At night, or when taking rest, these reptiles hide in trees, under bushes, large roots, cavities in between rocks, and such similar places. They typically make their burrows in river banks, where they can find a natural supply of a variety of fishes. However, they are also seen on flat land surfaces. 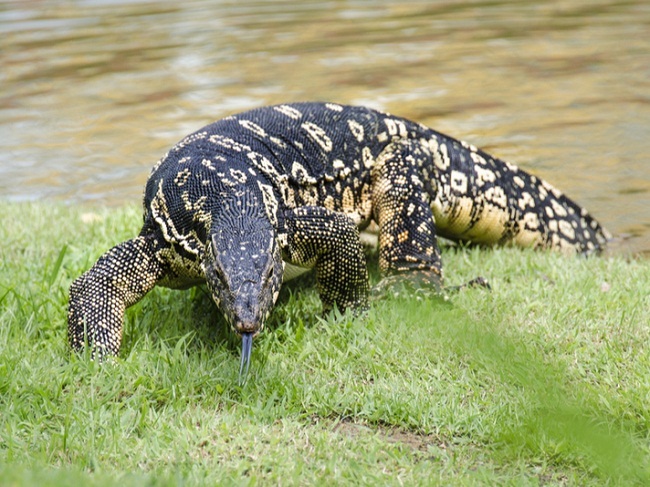 Asian Water monitors are excellent swimmers, and also, use their claws, tails, and jaws to defend themselves. When predators like large snakes chase them, they would climb up to the treetops using their sturdy, muscular legs. Thus, it might succeed in escaping the threat, but if they find the danger still waiting, they would jump down from the branch into a nearby stream or river to find a place for safety. The most common hunting technique used by the water monitor has been described as ‘open pursuit’ hunting since it is characterized mainly by face to face combat rather than stalking or ambushing. 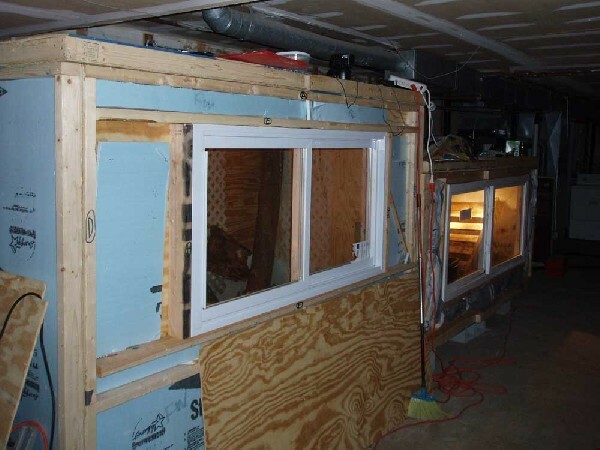 These monitors are highly fast for its size because of their powerful leg muscles. The water monitor is an opportunistic predator and is an extreme carnivore. These creatures will feast upon the flesh of any animal that it finds consumable. Water monitors commonly prey upon birds and their eggs, small rodents and mammals (mostly rats), varieties of fishes, smaller lizards, crabs, snakes, frogs and toads, young crocodiles, tortoises, and turtles. 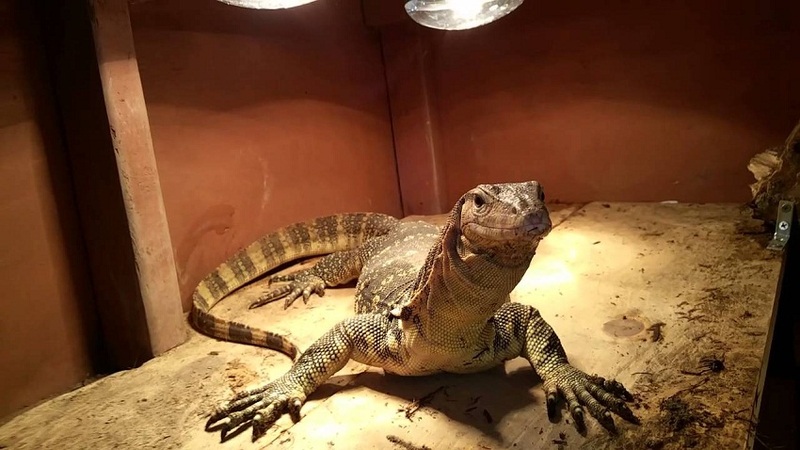 The male Asian water monitors gain sexual maturity when they are around 1 meter in size, while the females are sexually matured by the time they are approximately 50 cm. The breeding season arrives in around April and lasts until October. However, it is at the beginning of the mating season when the testes of the male are the largest while the females are more receptive. Hence, earlier the fertilization, stronger is the chance of reproductive success. The males of these large lizards are extremely territorial and would instantly encounter another trespassing male. In an attempt to fight, they will initially take threatening postures, and then start fighting dangerously, often leaving bloody wounds or bites. Larger females produce larger clutches compared to their smaller counterparts. They lay their eggs mostly along rotting logs of wood, stumps, or burrows along the riverbanks. They would also take advantage of termite mounds if found. Water monitors breed rapidly while the female lays around 40 eggs per year in two different clutches. The gestation period is about 4 to 6 weeks after breeding. The baby water monitors hatch out after 56-64 days of incubation. Their sturdy, clawed feet are extremely muscular to assist them to carry their massive bodies while climbing trees, as well as, get a good grip of the branches and trunks. Like snakes, these reptilians have forked tongues, which allow better accuracy in locating prey by its scent. 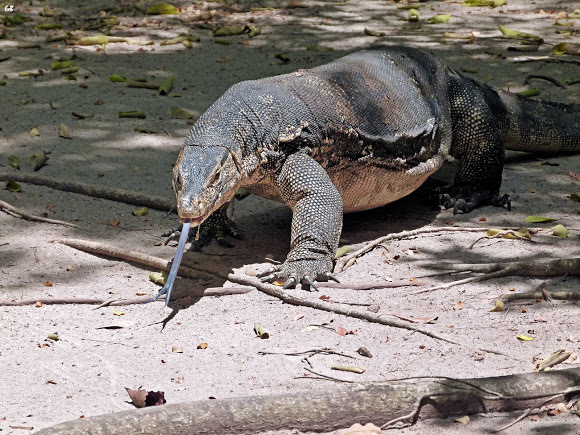 While swallowing food in large lumps, water monitors have the ability to dislocate their thyroid bone in order to enlarge the throat and make more space. Their long muscled tail and raised fins are adapted in a way to assist them to swim at a high speed while chasing aquatic prey, as also, moving away from their predators. Though these large creatures do not have any natural predators in their biome, they are sometimes killed by large and poisonous snakes such as the king cobra. Recent studies have given the evidence of the presence of venom glands inside the mouths of several members of the species, if not all. However, the Varanus salvator has not explicitly been tested as yet. However, the bite it inflicts is probably consistent with the bites given by other venomous lizards. The venom is thought to be used as a defensive mechanism, to aid in the digestion of food, to maintain the hygiene of the buccal cavity, as also, to capturing and kill its prey. The population of the water monitor is stable, and the IUCN 3.1 has enlisted the creature under their ‘LC’ (Least Concern) category. 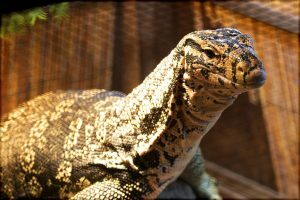 The water monitors, like the Komodo dragon, have been known to dig up human corpses from graveyards and devour them. During hunting for aquatic prey, these lizards can stay underwater for up to 30 minutes. As pets or captive, the animals need to be handled with care, as they have few pairs of sharp teeth around the jaw that can inflict severe bites severing veins and tendons, thus causing heavy bleeding. An American owner of a large water monitor described its bite as “worse than that of a rattlesnake”. 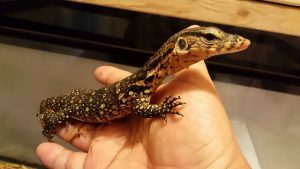 The Asian water monitor lizard has a long list of other names like common water monitor, Malayan water monitor, Asian water monitor, two-banded monitor, rice lizard, ring lizard, plain lizard, no-mark lizard, and kabaragoya. 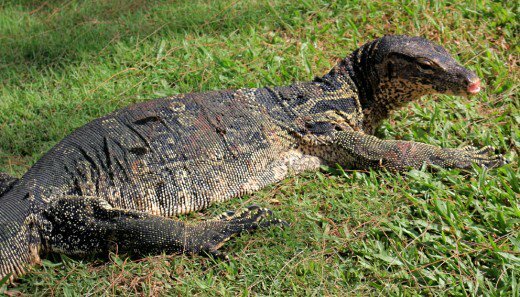 This species is the second heaviest lizard in the world next only to the Komodo dragon.